You don't need a cursor at all. select... from ... should do. You can a case expression to modify some column as you needed. You use join to plug in the value and manipulate the value in your select before insert into your target table. If you continue your cursor solution, I don't want to check it for you. Cursor has some usages (very limited for performance reason) and try to learn set based solutions for database queries. how can i use join for it? According to your description, you don't need to use cursor, I suggest you to use merge into, you could use merge to synchronize between the two tables. 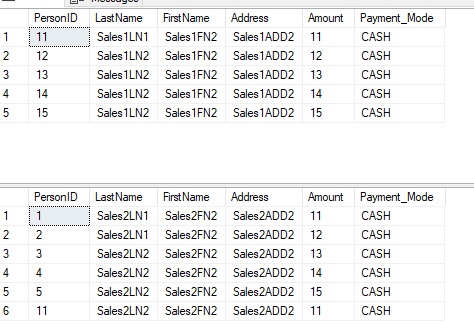 The user can select some data of a table and compare it with another table. If it is found that there is no such data, the data row will be inserted into the target table. Here is the demo , I hope it could help you.